Exposé: Shocking Photos From Our Visit to the Heart of the International Henge Trade! Once upon a time, we thought we’d died and gone to Heaven. But it was just the store at the Stonehenge Visitor Centre. 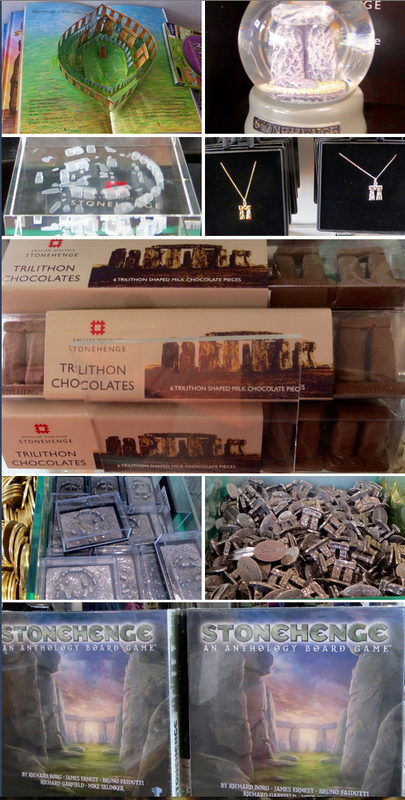 Here is some of what we saw in our undercover foray into the international trade in henges of all kinds. 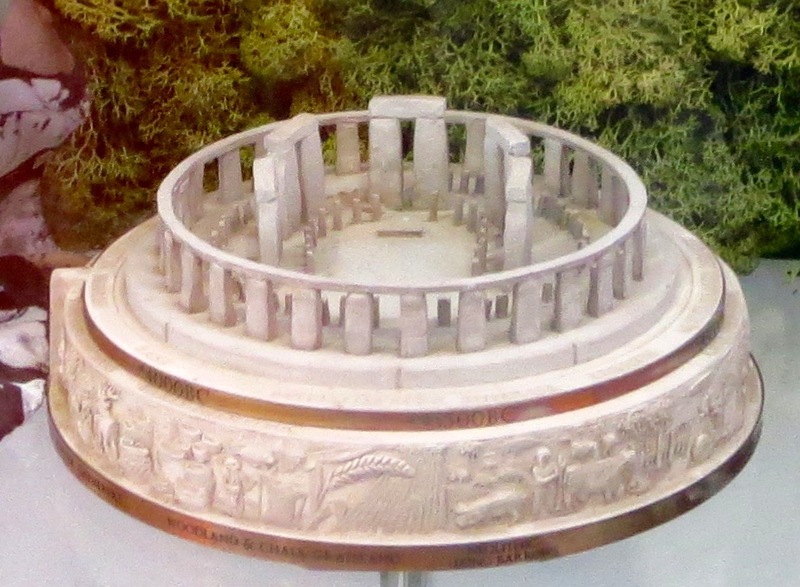 shelves full of Stonehenge replicas: Clonehenge dream or Clonehenge nightmare?? 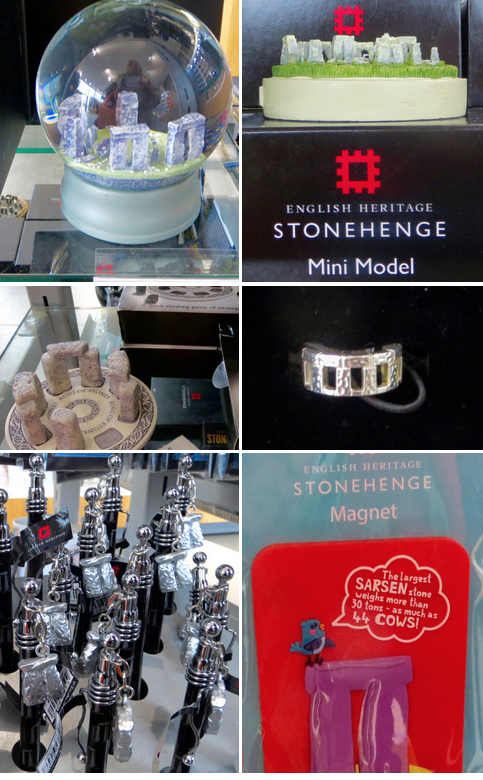 And what you see here is just a portion of what we witnessed during our investigative visit to discover the extent of the Stonehenge replica trafficking in which English Heritage is deeply implicated. 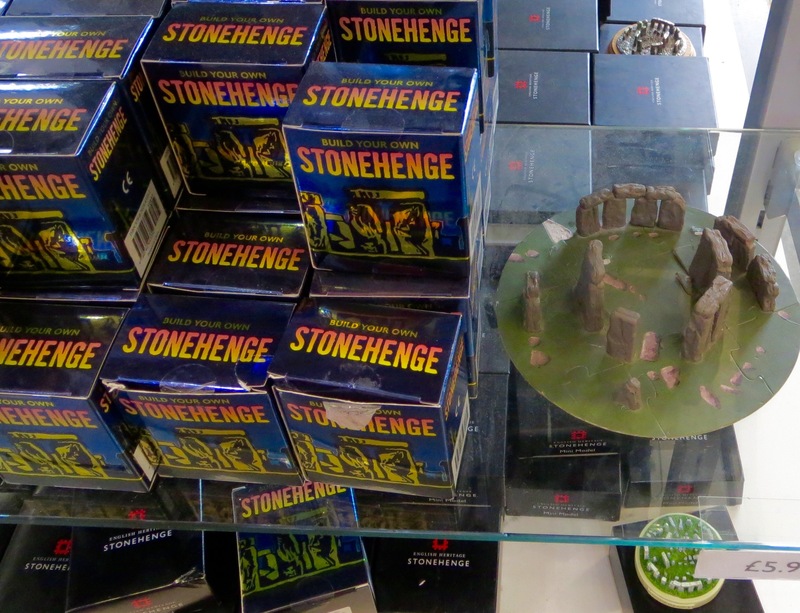 Turns out they are waist deep in serious international trade in henge knock-offs, most of which are not even made in England. This is the epicentre of a henge contagion that is spreading around the world, carried in the hands of innocent tourists. And yet, brazenly and without shame, EH displays its wares out in the open for anyone to see, with some even targeting the youngest and most innocent among us. Of course there is still a place for the handmade henge, the Stonehenge made of food, and the garden replica, so until next time, gentle readers, happy henging! 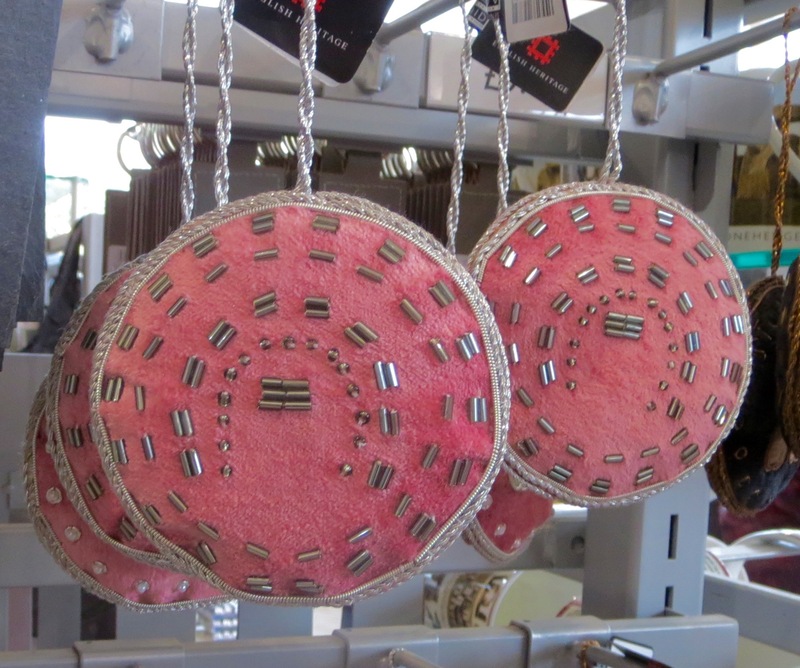 Aerial pattern of the stones of Stonehenge, done in pink beads! Is this meant for little girls??? ← Bananahenge: Foodhenge Done Right!